Club hours (2018-2019 School Year): Monday-Friday: 3 – 6:30 p.m.
2019 Summer Hours: 7am to 6:30pm. Who Can Attend the Club? Any youth ages 6 (or completed Kindergarten) to 18. Buses are available from select schools. Membership Information: Please see the Club Membership page for more information and forms. 2019–2020 School Year Enrollment: Open Enrollment for new members begins on Aug 21, 2019. All families wishing to enroll must do so, in person, at their corresponding Club. For families that are currently members, enrollment will open on August 1st, 2019. All memberships expire on Aug 31, 2019, and must be renewed for the new school year. Memberships are valid from September 1, 2019 to August 31st, 2020. Space is limited. We encourage families to re-enroll immediately when Open Enrollment begins. Membership registrations and renewals will be accepted Monday – Friday from 2:00pm – 5:00pm. All relevant forms are available from the Forms page. Please allow approximately 30 minutes to register. Family Nights: Family nights are held quarterly. Open to members and their families, this is a great time to enjoy dinner together, bestow recognition for Club members’ achievements, and play some fun games. 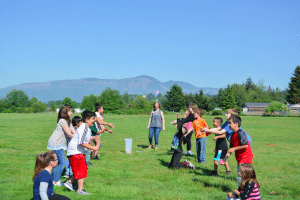 From a simple game of Duck-Duck-Goose, to a live full size games of Battleship, Triple Play always has a way to make exercising fun and active for our Club kids. Triple Play is the second most used program both in our Clubs, and nationally, right behind the Power Hour program. Triple Play is designed to give kids different ways to stay active and is a game plan for the mind, body, and soul. Every game we play encourages social interactions, teamwork, strategy, and being active, and we love mixing it up to keep things fresh. Games such as five-finger-soccer, which has the same rules of soccer but instead of kicking the ball around, when someone gets the ball they have to stand still and throw it to teammates, encourage teamwork, collaboration, and activity. 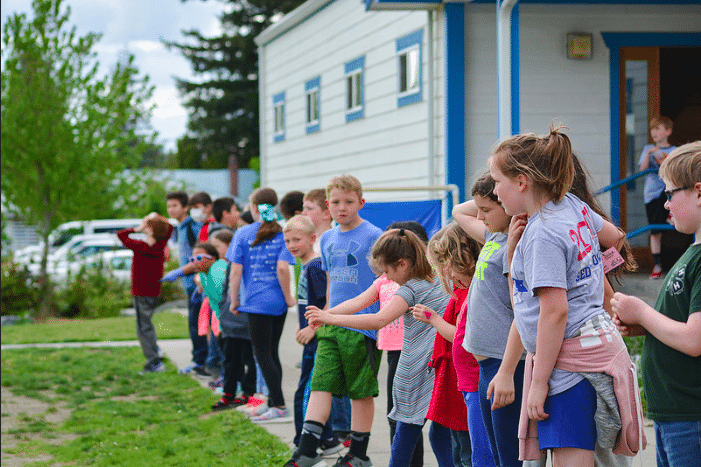 Meanwhile other games such as Bow and Stern, an edited more intense version of Simon Says, focus on staying sharp and on your feet ready to move. 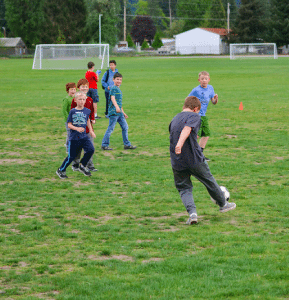 Triple Play brightens our kid’s days and gives them a fun chance to play and interact with each other. Boys & Girls Clubs of Skagit County’s 2017 Youth of the Year Paula Banda has had many opportunities to share her Club story publicly, as part of her journey within the Youth of the Year Program. Part of her story includes her goals for the future—to attend Harvard and practice Immigration Law. Several local lawyers heard her speech and reached out to help with career advice. 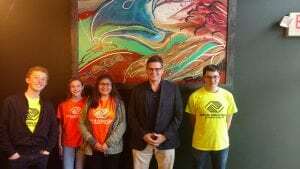 Recently, Paula and a small group of teens from the Sedro-Woolly Boys & Girls Club had a chance to meet these lawyers to learn about their practice. Laura Riquelme, who works as public defender for Skagit County, and has recently served as a judge as well, gave Paula and a few of her friends a tour of the Skagit County courthouse. She gave the Club members an overview of the work she does, how it affects the community, and how she decided to pursue a career in law. She also shared some great insights on the difference between being a judge and being a lawyer. Joseph Bowen was born and raised in Skagit Valley. After law school he came back to the area and eventually opened up his own law practice. He took the time to sit down with the Woolley teens and talk about motivation and determination. He detailed the journey he took from Skagit County to Harvard to law school at UW back to Skagit County and encouraged the Boys & Girls Clubs members to set their goals high. Boys & Girls Clubs of Skagit County would like to thank everyone involved for taking the time to share their career knowledge with the Club members.